Beijing (AFP) – Beijing Guoan are pleading ignorance over the protracted fate of Cedric Bakambu even after the striker declared he was China-bound in a reported 40-million-euro deal. In a statement to AFP, the Chinese club declined to confirm Bakambu’s signing and said they had heard he left Spain’s Villarreal for “personal reasons”. It raises major questions over whether the drawn-out move for the French-born Congolese hitman, who has hit nine La Liga goals this season, will now go ahead. This month, the powerful Chinese Football Association warned clubs against any “loophole-exploiting behaviour” in trying to avoid its de facto 100 percent tax on incoming foreign transfers. 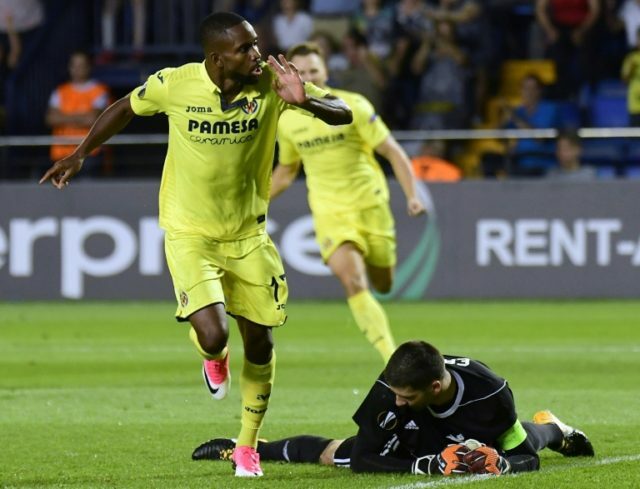 Villarreal last week said Bakambu had left after he terminated his contract, and the 26-year-old declared in a video that he was going to “play in Beijing”. It was widely reported in French and Spanish media that Bakambu was set to move to Beijing after the 40-million-euro buyout clause in his contract was triggered. But Guoan, who had previously stayed silent on the matter, told AFP: “We recently received a fax from your office enquiring about Bakambu’s buy-out clause on his contract with Villarreal. The issue appears to be the Chinese FA’s 100 percent tax rule, which was slapped on clubs last May to halt a buying frenzy including a series of record transfers. Under the rule, Chinese clubs buying foreign players must pay an amount equivalent to the transfer fee into a fund designed to bolster youth football. The CFA this month warned it was closely watching to make sure clubs do not flout the rule, after Guoan and Chinese champions Guangzhou Evergrande were reportedly locked in a bidding war for Borussia Dortmund forward Pierre-Emerick Aubameyang. Chinese media said Evergrande won the race for his signature — but Evergrande later denied any interest in Aubameyang, and repeated a pledge to field an all-Chinese team by 2020. Beijing Guoan finished ninth in the 16-team CSL last season under German coach Roger Schmidt, and appear determined to buy a goal-scorer before the start of the new campaign in March.